Researchers have found that graphene oxide (GO) has significant effects on plant growth and development. The effects of GO on plants are variable and influenced by many factors, including GO concentration and genotype. 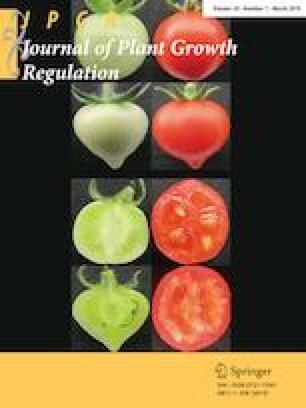 Five rice varieties, Huanghuazhan (HHZ), Jinghuazhan (JHZ), Shenyou9521 (SY9521), Jingyouhuazhan (JYHZ), and Jingchuxiang (JCX), were treated with different concentrations of GO (0, 5, 15, 25, and 50 mg/L), and their physiological response was measured. The results demonstrate that GO had significant effects on the development of HHZ, JCX, JHZ, JYHZ, and SY9521 roots, but the effect varied by GO concentration and rice variety. The highest concentration of GO (50 mg/L) reduced the root length, fresh weight, and dry weight for all five rice species. The GO treatment also affected the levels of abscisic acid (ABA), indole-3-acetic acid (IAA), and malondialdehyde (MDA) and the activity of superoxide dismutase (SOD) and catalase (CAT) enzymes. The correlation analysis indicates that GO could affect the IAA content to modulate rice root growth. This research was supported by the Scientific Research Foundation for Returned Overseas Chinese Scholars, the State Education Ministry, and the Educational Commission of Hubei Province of China (D20151303). BX and LX designed this research; SS and YL conducted the research; SS and FW analyzed the data; LX, BX, SS, and GY wrote and edited this study. All authors reviewed and edited this manuscript.